Wynd helps you breathe clean air and feel refreshed. 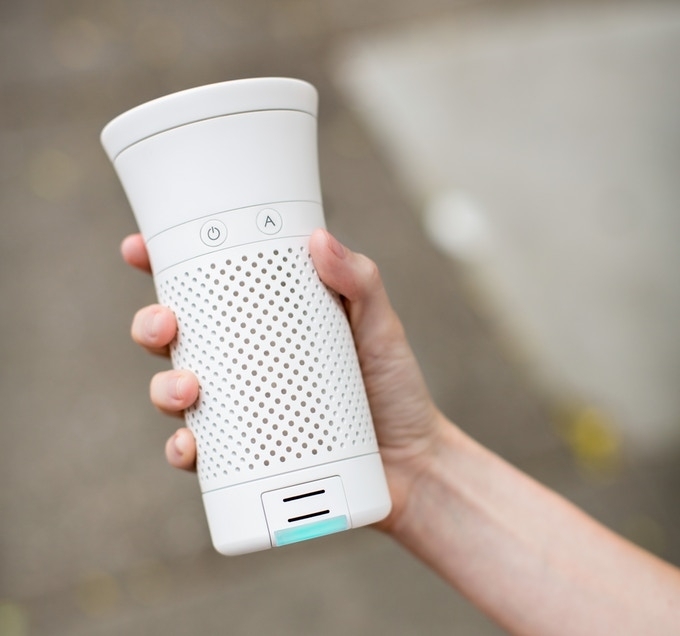 Wynd isn’t just an air purifier—it’s an intelligent personal air quality system. It monitors your environment and cleans as needed. Wynd creates a bubble of clean air around you by removing dust, allergens, smoke, and pollution from your personal space. 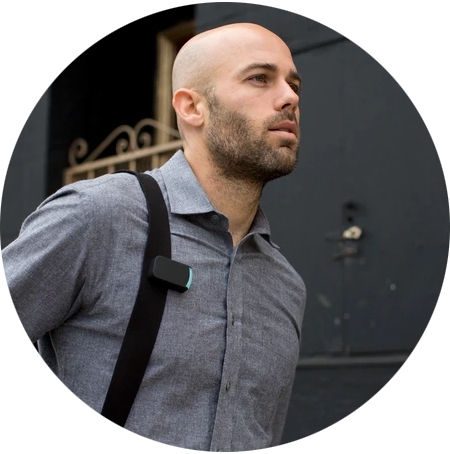 Wynd is more than one device the tracker can actually detach for ultimate mobility. It is the size of a water bottle, so it’s easy to use anywhere — in offices, hotels, cars, public transportation, and more. 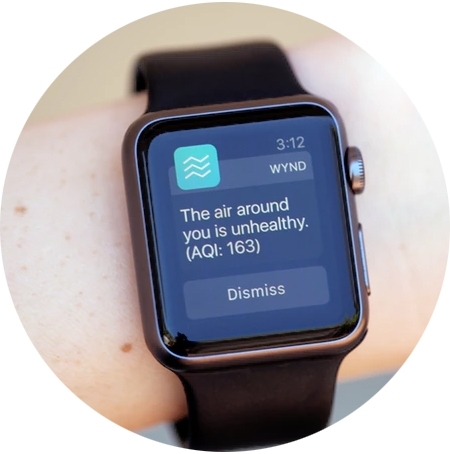 Wynd helps you breathe easy wherever you go. Wynd is more than one device: It's an air quality tracker and purifier in one and the tracker can actually detach for ultimate mobility. Despite its small form factor, Wynd can deliver over 8 liters of clean air per second, it also cleans these particles like dust, allergens, smoke, and pollution from your personal space quickly. Wynd keeps your personal space free from particulates including allergens, germs, and industrial pollution. You don't need to wait to breathe fresh air. 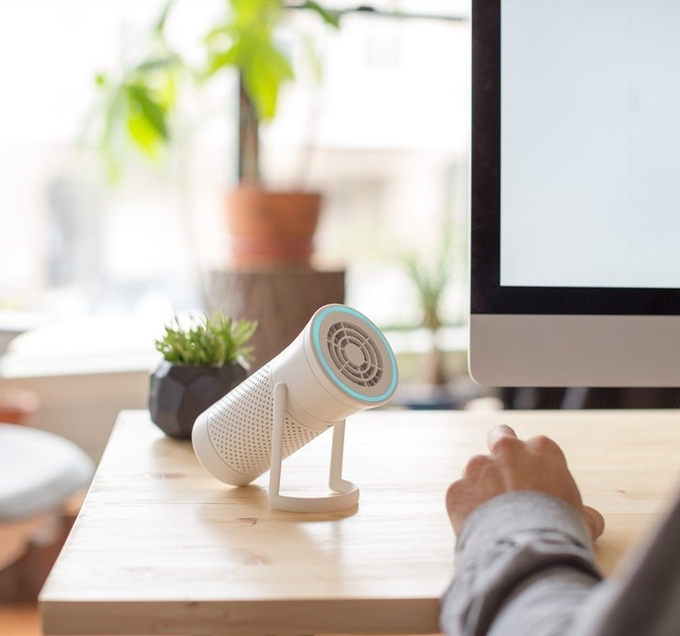 Wynd can instantly funnel clean air towards you. Wynd weighs less than a pound, so it goes where you go. Wynd’s size makes it easy to travel with, and it’s a must-have for those going to polluted areas. No need to keep Wynd plugged in: It lasts for 8 hours of typical use without having to charge it. Know your air quality at all times. 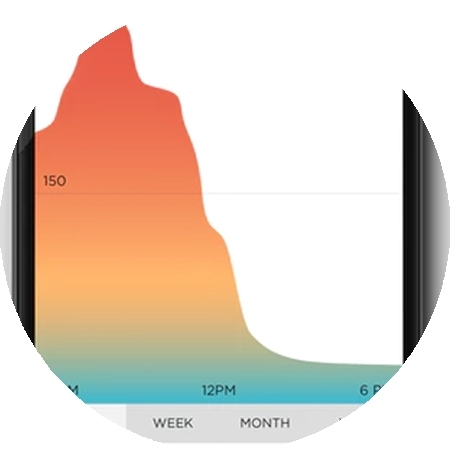 The Wynd Air Quality Tracker continuously monitors your environment and alerts you when it becomes unhealthy. 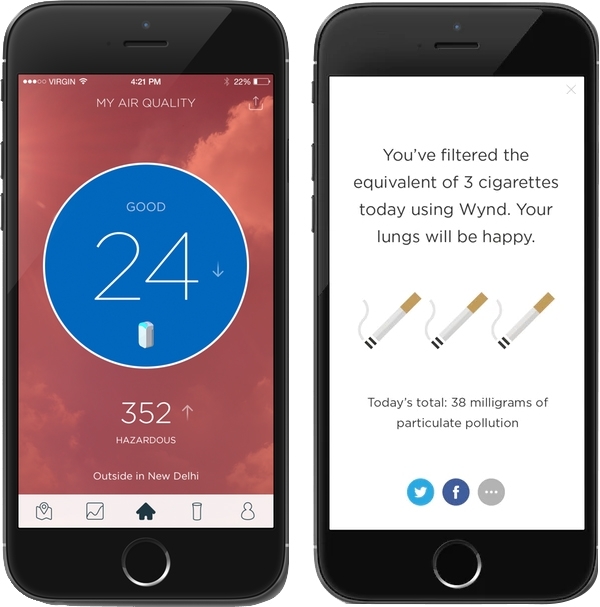 The Wynd Air Quality Tracker continuously monitors your environment and alerts you when it becomes unhealthy. The tracker senses for the level of particulate pollution, from sources such as allergens, tobacco smoke, bacteria, mold spores, and smog. Wynd tells you how much pollution it's kept out of your lungs. 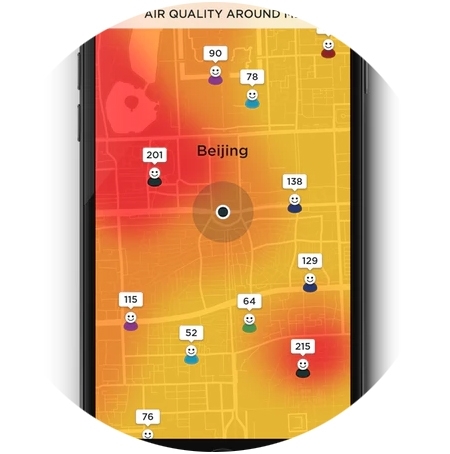 By tracking air quality, airflow level, and usage duration, It can determine how many milligrams of particulate matter Wynd has cleaned from the air. You could also check the air quality at a glance, The tracker's light color shows you how healthy the air is. Blue indicates Good Air, Yellow indicates Moderate and Red for Unhealty Air. Track Environment Changes Over Time. Filters only last a couple of weeks.